WASHINGTON, DC, October 5, 2011 (ENS) – Some years ago I was traveling through Kenya during a ferocious drought. Crossing a desolate landscape, our truck lurched to a sudden halt. We passengers, all westerners, were mystified until our African driver pointed through the shimmering heat to a small figure trudging toward us. A shepherd had flagged us down. It turned out he was just a boy who needed water, badly. Our driver filled the young man’s gourd and he drank non-stop, draining the contents. After three refills, the boy smiled thanks and, much revived, returned to his goats. Now drought and desperation are again afflicting Kenya and the Horn of Africa. 750,000 people – half of them children – could starve to death by December, projects the United Nations. Scientists have long predicted that Africa will suffer first and worst from the heat and drought that climate change unleashes. Of course, climate change isn’t the only reason Africans are starving. Somalia, epicenter of the famine, is also plagued by civil war and dysfunctional government. But this famine was brought to a head by the worst drought in six decades, a drought bringing hunger to neighboring Kenya and Ethiopia, two relatively peaceful, stable countries. Americans haven’t heard much about this famine, but it deserves our attention, and not solely for altruistic reasons. For climate change is already hurting food production here at home. In Texas, the state climatologist calls 2011’s weather perhaps “the worst drought on record for agriculture,” with West Texas now resembling that hell-hot desolation I once witnessed in Kenya. What’s more, climate change is bound to get worse. The inertia of the climate system insures that temperatures will rise and extreme weather intensify for decades to come. That spells trouble for farming everywhere. Corn doesn’t reproduce at temperatures above 95 degrees Fahrenheit. By 2040, Iowa will likely suffer three straight days of 95 degree heat in three years out of four. Africa, meanwhile, will get even hotter and drier. “By 2020, one of every two growing seasons in sub-Saharan Africa will be hotter than any in the last 50 years,” concludes a study by Stanford University’s David Lobell. 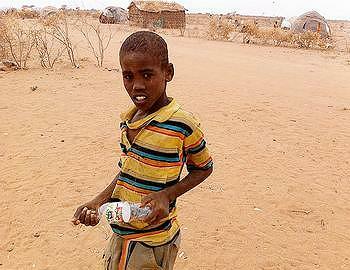 For now, people in the Horn of Africa need emergency food aid. But only long-term responses will keep Africans from falling into such difficulties again. Don’t believe cynics who say Africa is hopeless and foreign aid always mistaken. There are dozens of agricultural success stories across the continent that only need to be scaled up to improve African food security and climate resilience – lessons that can also benefit American farmers. Many of these success stories rely, unexpectedly, on trees. 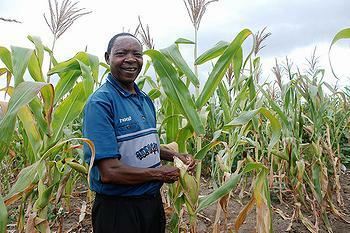 Land degradation and poor soils are basic causes of Africa’s low food production. 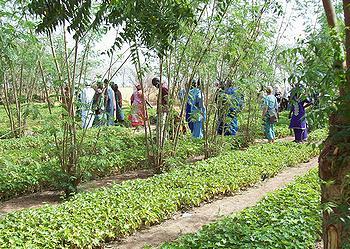 Growing trees amid farm fields – so-called “inter-cropping” – counters these problems. Trees retain soil moisture, provide mulch (with fallen leaves), limit erosion, add coolness, and more. Dubbed “Evergreen Agriculture” by the World Agroforestry Center, this approach is doubling crop yields in parts of Niger, Burkina Faso, Zambia and Malawi. And it’s cheap: famers can grow trees by themselves. It’s in our interest to encourage such solutions. Not only because it is morally right, but because lessons learned in Africa – one of the first places climate extremes are being felt – can teach our own farmers how to cope with climate change tomorrow. That’s why it’s essential to reject calls on Capitol Hill to end foreign aid. Foreign aid accounts for only one percent of the federal budget (not the 25 percent most Americans think it does). Cutting aid will not cure our deficit, but it will deprive hungry people of the help they need to help themselves. If you wonder why you should pay for such efforts, think back to that shepherd boy in Kenya. Remember, in the new era of climate change, you too may need help someday.